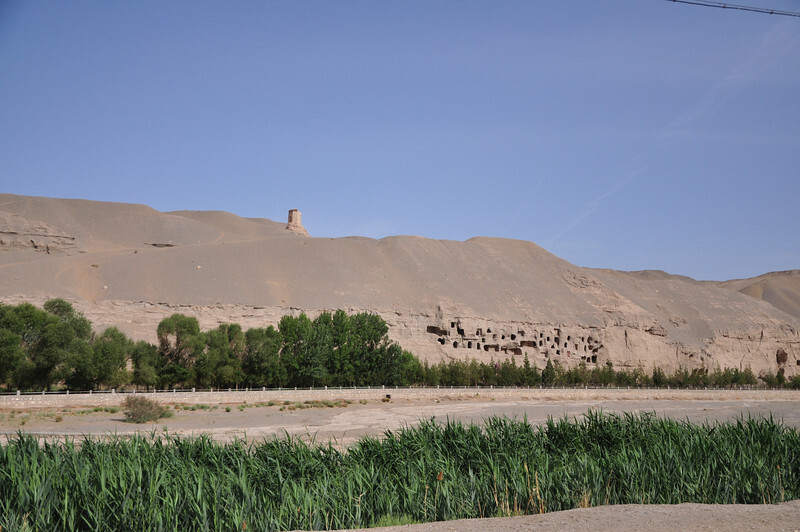 From the Mogao Grottoes parking lot, one can see the northern set of grottoes (right side of the photo). These are not, as far as I know, open to tourists; these were (and are?) the residences of the Buddhist monks that worship at and tend the site. I'm not sure what the tower on the hilltop is.